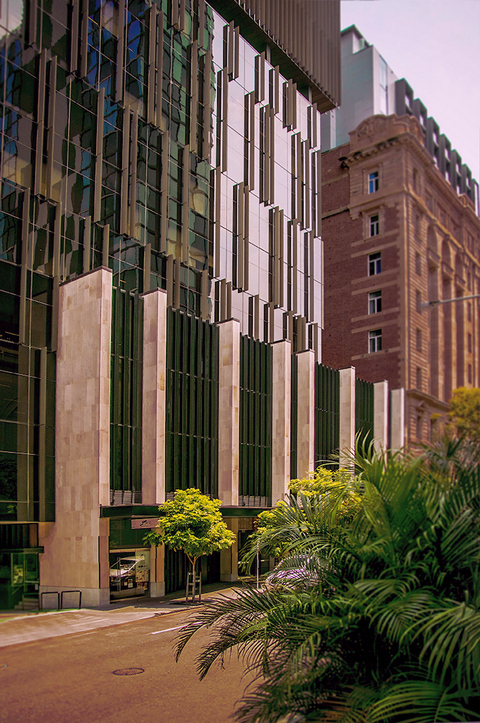 55 Elizabeth Street is an award-winning commercial office building located in Brisbane central business district. 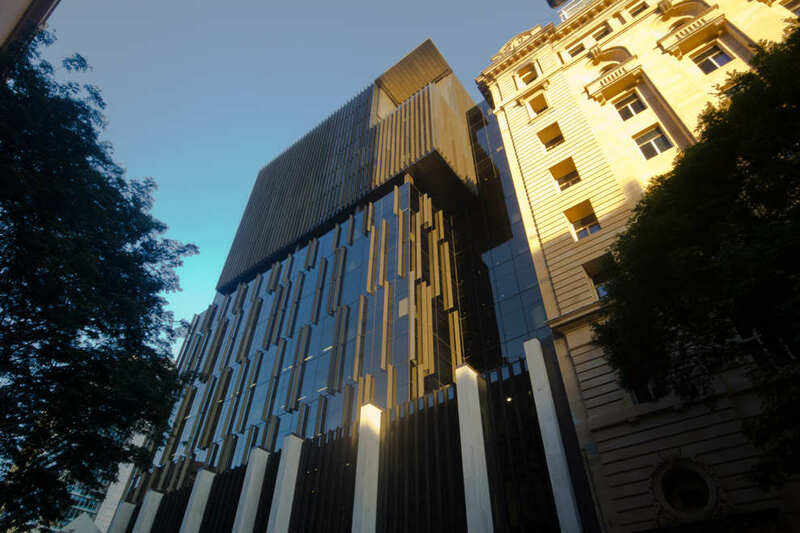 The development won the 2014 Royal Australian Institute of Architects (RAIA) Queensland Beatrice Hutton Award for Commercial Architecture and the 2014 RAIA Brisbane Regional Commendation for Commercial Architecture. The AU$80 million building has a GFA of 23,000m² and 18,000 m² NLA with ground floor retail outlets. 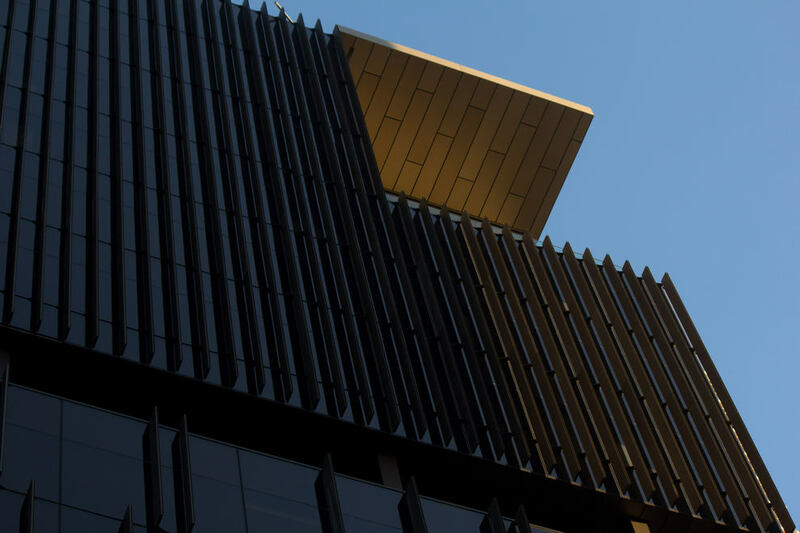 While consciously acknowledging its 19th and 20th century building counterparts in the diverse streetscape, BVN Architects have created a contemporary tripartite design. 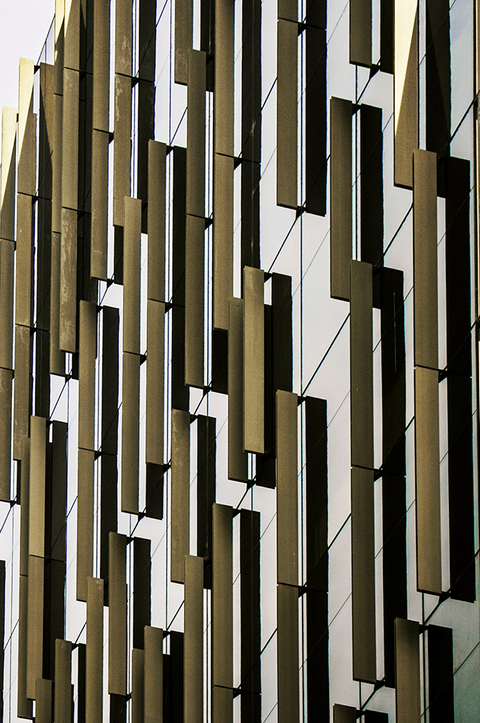 Prominent sandstone columns define the lower third of the 15-storey building, in the middle third the materials change to solar glazing with vertical fins, and on the final five floors, anodised sunshades protect the upper western façade to complete the design. The vertical shading fins vary from 1800 to 600mm centres. 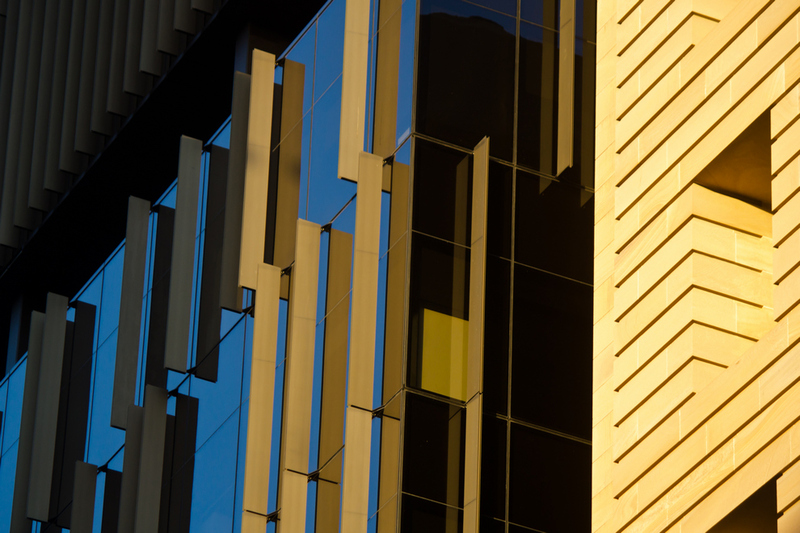 The podium includes a vertical glass wall between sandstone cladding. The roof and plant room façade continues the curtain wall elements to allow for rear light, to enable the top of the building to glow at night. Inhabit was engaged by Grocon to provided façade consulting services.